I think the primary issue at hand is the posthumous editing protocol that has NOT been followed by the BBTI. Yes, many devotees agree that no editing should have been done, other than the very few things mentioned by His Divine Grace (like the cattle raising and trees). But most devotees think the thousands of changes are unwarranted. Yet, there are others who find the edited Gita more to their liking. And they prefer to read and distribute this Gita. So now both are available from the BBT. And devotees can choose which they prefer, or better yet, buy both and compare them. But the REAL ISSUE here needs to be addressed. That is: the correct protocol for posthumous editing MUST BE INTRODUCED by the BBT in order for Srila Prabhupada’s books to be considered authentic. At the present time, the edited books are not authentic or true copies of the originals. Without dating the editions, numbering them, and placing the editors’ names on the cover and/or title page, the Bhagavad Gita As It Is, so-called Srila Prabhupada’s Gita, is now considered by the academic community to be a non-authentic replica, not true to the original writings of His Divine Grace. In other words, what is being pawned off as “Srila Prabhupada’s works” is really not authentic, and therefore is not respected by the world of scholars. It is seen as an undated edition, a conglomeration not to be trusted or considered worthy of study or scholarly examination. When a book is posthumously edited, and changes comprise more than a certain percentage of the text, certain protocol must be followed in order for the book to be considered a genuine work of the author. This has not been done by BBT. Academic acceptance was quite important to Srila Prabhupada; there is much evidence of this. He was quite eager to receive scholarly reviews for his writings, and to publish them in his books. 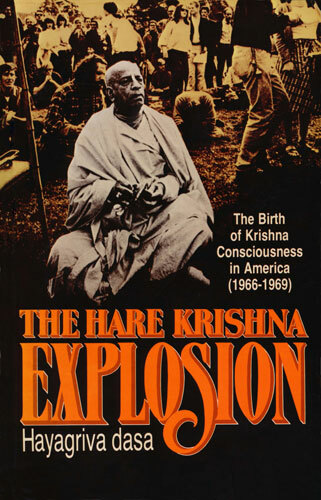 However, the academic reviews that are printed in the “new edition”, the posthumous edition, were in fact written and intended for the original edition, published while Srila Prabhupada was present. The BBT has simply tacked these reviews onto the edited Gita, as if they were written for it–when in fact, these scholars never saw the posthumous edition. This is not only unprofessional, but it is unethical. This greatly compromises the status of Srila Prabhupada’s works. This is an issue we should all be concerned about. This is the issue that needs to be corrected by the BBT. The correction is quite simple. There are many websites devoted to such correct protocol. Simply including the editors names, the date of editing, and the number of the edition will go a long way in correcting this glaring anomaly. The BBT should take action on this as soon as possible, before scholarly reviews expressing this very fact become public.